Everything happens for a reason and it all happens at the right time. During a low period, I turned to social media to ask for some help. I needed some advice on improving my mood. Desylvia from Dkuncovered suggested reading or watching The Secret and directed me to Melanie Kate Love and Simply Ney youtube channels. Two ladies who share videos on the law of attraction. 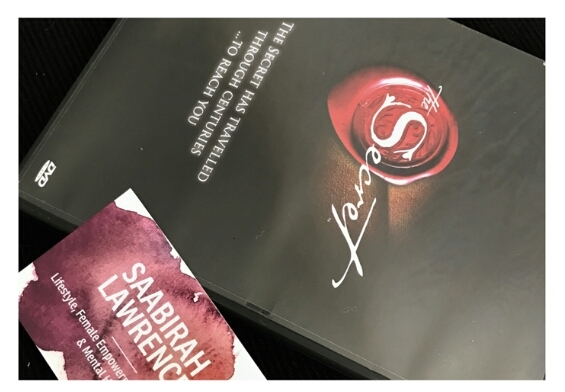 If you’re unfamiliar with The Secret, it is a book/DVD that encourages people to live a positive life, by speaking everything into existence. They focus on the power of the mind and universe. The universe will give you what you want if you already believe you have it, but you have to stay grateful and constantly work on having a positive mindset. Fast forward to now and my mum is back on The Secret, and my new boss is also a lover of The Secret. So I am currently around people who are encouraging me to have positive thoughts. I was speaking to my mum and my sister the other evening and after mentioning the people who have contacted me and asked to work with me, my mum made me realise something. My mum reminded me that I had asked for my blog to take me further, I had expressed how much I would love for my blog to be a source of income. I had already asked for it and without paying attention I had already received what I had asked for. The Secret highlights the importance of being specific. Every last detail needs to be made clear. Otherwise you receive what you want, but not in the way you want it, which then leads you down the path of giving up or feeling as if it is an impossible ask. Because I wasn’t specific, I never said how I want my blog to take me further, I never said how I’d like to be paid. The opportunities came, but because it wasn’t the way I had imagined it, I didn’t even realised that I got what I asked for. It was only when my mum relayed everything back to me, that I realised. Success looks how you want it to look. Pay attention and be mindful of your thoughts. It’s not easy, I still struggle with it myself. Success doesn’t always have to be something big it can be something small and equally as significant. This post and my Finding My Passion posts are my reminders. When I get caught up feeling like everything is going wrong or things aren’t going the way I want them too, then I need to refer myself back to my own blog. I need to remind myself that I am on the right path, and that I am going the right way. Thank you Desylvia, Mum, Amina & Ebony.